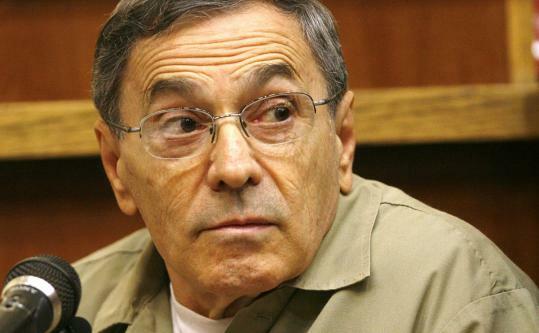 The lineup of potential witnesses include characters such as former Bulger cohort Stephen “The Rifleman’’ Flemmi. He’s a legendary gangster, accused of 19 grisly murders and a vast criminal conspiracy. He was a fugitive from justice for 16 years and could face years in prison on gun charges alone for the 30 illegal weapons authorities say they discovered at his Santa Monica, Calif., hide-out. There are few who believe that James “Whitey’’ Bulger, 81, has a chance of ever sleeping anywhere but a prison cell. But what might seem like a slam-dunk case against someone who was pictured alongside Osama bin Laden on the FBI’s Most Wanted List will be an immensely complex un dertaking, costing taxpayers millions of dollars and playing out over years, former prosecutors and defense attorneys say. The massive legal process set into motion last week, featuring a defendant flown in by helicopter, competing filings, and numerous hearings, is notable not only for the sheer scope of the crimes Bulger is accused of, but the time that has elapsed since they were committed, his cross-country flight from justice, and the FBI’s complicity in Bulger’s alleged crime spree. “I think Bulger is a groundbreaking, unique case with issues never seen before in my lifetime,’’ said Bruce Cutler, a criminal defense lawyer who represented John Gotti, head of the Gambino crime family in New York. Authorities arrested Bulger and his companion, Catherine Greig, in Santa Monica on June 22, where they had been hiding in an ocean-side apartment with $822,198 in cash. His apprehension triggered international headlines and widespread speculation about the legal process ahead: Would he name names? Would more FBI agents be implicated? Would there be a plea? Or would the families of his alleged victims finally have their day in court? As prosecutors prepare for an epic case, they could be influenced not just by what makes the most legal sense, but also the sensibilities of more than a dozen families who have been waiting decades for justice. While some have predicted he might enter a plea, families of those Bulger is accused of killing are rooting for a full-blown trial - and the revelations it might produce about possible coconspirators or further corruption by the FBI. “He’s the only one who can answer every question,’’ said Shawn Donahue, whose father, Michael, was shot dead on the South Boston waterfront in 1982, allegedly a victim of Bulger’s gang. One likely truth is that justice could be a long time coming. “Normally, you would expect a case to come to trial within 12 to 18 months of indictment, but this case has such complexity,’’ said Timothy Burke, a former Suffolk County prosecutor who led a two-year investigation into Bulger’s operation in the early 1980s. With 19 homicide victims and evidence dating back some 30 years, “you’re talking easily two to three years before this case ever is concluded,’’ he said. Many legal analysts point to Bulger’s age as a factor to consider, though few think it would bring him any leniency, given the charges he faces. But it could put pressure on prosecutors to proceed as expeditiously as possible. “The issue is just to get him convicted before anything else, while he’s still alive,’’ said Michael D. Kendall, a former prosecutor and now a defense attorney with McDermott Will & Emery. If Bulger is convicted, but then were to die before appeals are finished “then the conviction is dismissed,’’ he said. A 1971 Supreme Court ruling held that convictions still under appeal are abated upon death. In between, “you sort of enjoy that status as an innocent person,’’ said Rosanna Cavallaro, a professor at Suffolk University Law School. Former priest John J. Geoghan’s child molestation conviction was erased after he was killed in prison in 2003 while the case was under appeal. The double-murder conviction being appealed by Planned Parenthood clinic shooter John C. Salvi III was voided after he killed himself in prison. Noting the armory of illegal weapons Bulger had when captured last month in California, Kendall suggested that prosecutors first pursue a case against Bulger on weapons possession, rather than wrangling with the more complicated indictment that could ensnare the case in a protracted trial. Another unavoidable fact of the case is that it will be expensive. Taxpayers will be paying for both sides of the Bulger trial after the court last week declared Bulger indigent and appointed Boston lawyer J.W. Carney Jr. to represent him as a public defender. A defense lawyer can turn the tremendous size and scope of the government’s case against the prosecution: The full weight of the United States government coming down on one individual, even a reputed mob boss, creates the strong perception of a scrappy underdog fighting overwhelming odds, Cutler said. A fact the government cannot escape is that potential witnesses against Bulger include some unsavory characters, such as former Bulger cohorts Kevin Weeks, Stephen Flemmi and John Martorano, and possibly corrupt former FBI agent John Morris. Such a rogues gallery on the witness stand will give the defense an opening to argue the case against Bulger is built on the shaky words of longtime criminals. “They are damaged goods; they’re right in the thick of it,’’ said Allison D. Burroughs, a former federal prosecutor and now a white-collar defense attorney, referring to the potential witnesses. However, she said, other juries - such as the one that convicted Bulger’s former FBI handler, John Connolly Jr. - have found the witnesses credible. Former Rhode Island governor Lincoln Almond, who pursued the Patriarca crime family as a US attorney, said he “never got concerned about the background of a witness, so long as they were a good witness’’ who didn’t get confused under cross examination or contradict themselves. A defense lawyer can attack a cooperating witness, but “jurors are smarter sometimes than people think,’’ he said. Prosecutors are expected to seek to prove that the murders were tied together as part of Bulger’s criminal enterprise, but they may not try all 19 allegations, said former US Attorney Donald K. Stern. “The government would certainly still consider it a successful prosecution if they were able to persuade the jury beyond a reasonable doubt that he had committed a lesser number,’’ said Stern. Whether that would be justice enough for still-grieving families is not clear. All along, many thought that the government would never capture Bulger for fear that he might have more information on corruption in the FBI that had protected him for years. Now that he has been seized, some suspect that the government will try to keep him out of the courtroom - perhaps by pursuing a plea deal - to avoid further embarrassment by any revelations on the stand. But former prosecutors said that is exactly why federal prosecutors will demand a trial in Massachusetts: to demonstrate there will be no more special deals for Bulger and to put a visible end to the abuse of power that was exposed in the system. Anthony Cardinale - who has defended other New England underworld figures including Francis “Cadillac Frank’’ Salemme - said Bulger may try to cut a deal to skirt murder charges that could put him on death row in other states, as Flemmi did in 2003. But whether Bulger has information useful enough for the government to strike an agreement with him is doubtful, said Cardinale and other lawyers interviewed about the case. The statute of limitations has expired for most charges, except murder, Cardinale said. The only ways Bulger could implicate additional law enforcement authorities would be to tie them to a homicide or to more recent obstruction of justice, helping him while he was on the run, he said.